Kolkata, October 16: Emboldened by the presence of all three Gorkha Janmukti Morcha (GJM) MLAs in a meeting on Darjeeling here today, West Bengal Chief Minister Mamata Banerjee today made it clear that the picturesque hill district was first and foremost a concern of West Bengal. “We shall have to find a permanent solution to the problem in Darjeeling. If any useful suggestion is made by someone, we shall certainly consider it. But the onus of finding a solution is on us only”, Banerjee said after the meeting. “Darjeeling is an important part of our state. It is a world famous place and an international brand. I want to develop my Darjeeling and the neighbouring Kalimpong, Kurseong and Mirik. In the meeting, we all agreed on this issue”, Banerjee said. “Darjeeling will not face any law and order problem. We will take serious care for that”, said Banerjee, who shot off letters to the Prime and Home Minister today regarding withdrawal of central forces from Darjeeling. Banerjee today sent West Bengal DGP Surajit Kar Purkayastha to Darjeeling to take stock of the law and order scenario of the area. Today’s meeting at “Nabanna”, the state secretariat, was the third meeting between Mamata Banerjee and representatives of hill-based political parties being held to restore normalcy in the hills. 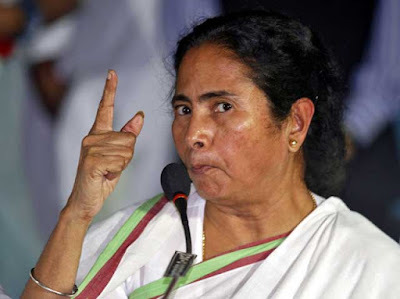 Banerjee announced that she would next meet the hill parties on November 21. Banerjee today also announced that the state government would consider giving compensation to the families of the agitators who lost their lives during the recent phase of the Gorkhaland agitation. It was also agreed that there would be no disciplinary action against employees who did not attend office during the recent 104 days long shutdown enforced in the hills by the GJM. Emboldened by the presence of all three Gorkha Janmukti Morcha (GJM) MLAs in a meeting on Darjeeling here today, West Bengal Chief Minister Mamata Banerjee today made it clear that the picturesque hill district was first and foremost a concern of West Bengal.